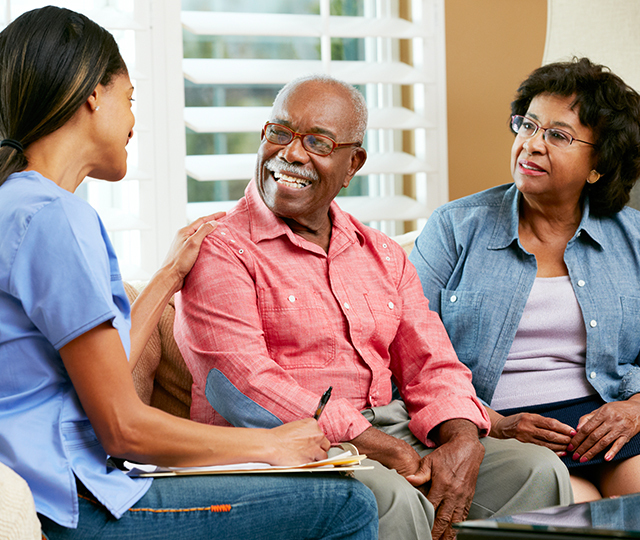 United Senior Services has a long history of using a CARE approach – Coordinated Assessments and Resources for the Elderly – when providing support and assistance to older adults whose independence is compromised by chronic illness, physical limitations and/or mental health issues. Our agency provides and connects seniors to a number of in-home and community based services that support independent living. Learn more about our services listed below. Homemakers are available to help individuals who have difficulty completing routine housekeeping chores. Homemakers may provide light housekeeping, run essential errands, do laundry, wash dishes, or prepare a meal. Personal Care Aides provide basic hygiene and personal care such as bathing, hair care, oral hygiene and dressing. Respite Care is available to give family caregivers of elderly loved ones much needed time away to relax or to take care of other responsibilities. Respite care may include assistance with walking and eating, preparing a simple meal, assistance to the bathroom, and companionship. For more information about our services and eligibility contact our In-home Services Director, Wanda Atkins at (937) 323-4948. Gatekeeper – Elder Abuse, neglect and financial exploitation are very real issues in our community. Our staff is trained to identify and refer at-risk older adults who are in danger of neglect, abuse and financial exploitation. Once referred, our staff makes in-home visits to establish contact, make assessments, provide resources and make referrals for services. If you are concerned about a loved one, a neighbor or a friend, call Monica Spencer at (937) 323-4948 to arrange a safety check. 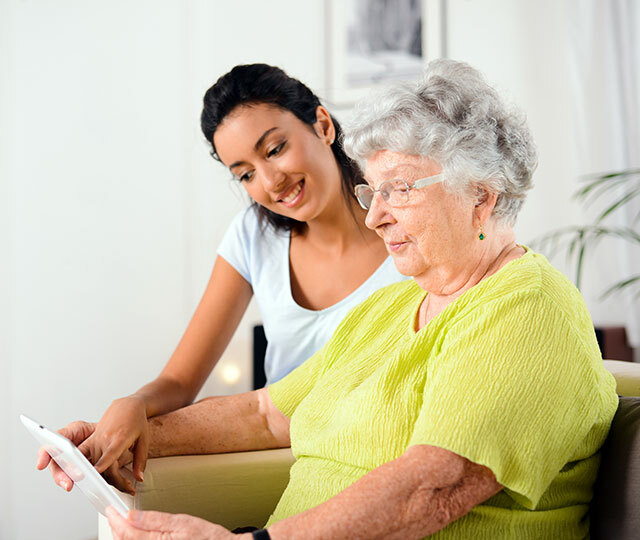 Guardianship – Trained volunteers work as court appointed guardians and serve as personal advocates for individuals age 60 and better, who have no available or appropriate family or friends to do so. Call Monica Spencer for more information at (937) 323-4948. Financial Management – Trained volunteers and staff offer confidential assistance with check writing, checkbook balancing and budgeting to those who are unable to manage their finances independently. Call Monica Spencer for more information at (937) 323-4948. Companion and Prevention programs at USS are designed to preserve personal dignity through socialization, friendship and peer support. With advancing age the ability to cope and problem solve, and positive feelings of self-worth can make the difference in life adjustment and overall life satisfaction. Assistance with life skills and socialization are offered to help isolated adults get out on a regular basis. Fun activities are offered throughout the community on a regular schedule. Referrals are welcome by calling Laura Fulton at (937) 323-4948. Assistance is available for home modifications, utility bill shut-offs, home energy and telephone discounts. Contact Joyce Robinson at (937) 323-4948 to learn more. “By feeding hundreds of senior citizens in our community every day, we are helping people get one of life’s most basic needs: a daily hot, nutritious meal.” To learn more about USS Senior Meals, call Sharon Torres at (937) 323-4948. Proper nutrition is critical to maintaining good health. Noontime and evening meals, hot, chilled or frozen, are available Monday through Friday for a donation or a small fee. Daily interaction with our meal delivery team combined with proper nutrition provides many benefits to those who, for many reasons, cannot prepare their own food. Contact us for more information at (937) 323-4948. Proper nutrition is provided in a group setting at community dining rooms at noontime for those ages 60 and better. A hot meal, shared with friends and nutrition education is provided. Reservations are required 24 hours in advance. Door-to-door transportation is provided to medical appointments, nutritional sites, and essential errands for Clark County residents, age 60+. Donations are appreciated. Drivers are employees and are trained, tested, and supervised to assure safe travel. Vehicles can accommodate ambulatory individuals as well as those traveling in wheelchairs. To insure availability, please make your transportation request at least 2 weeks in advance for appointments in Clark County, and 4 weeks in advance for out of town appointments. Every effort will be made to accommodate emergency requests, but availability of a driver and a vehicle cannot be guaranteed without sufficient notice. Please call Lisa McDonough at (937) 521-3000 for an appointment or more information. Trained staff provides education and access to resources for those with health concerns, or other critical needs. Medical professionals and social service personnel are available to conduct confidential health and wellness consultations and screenings.